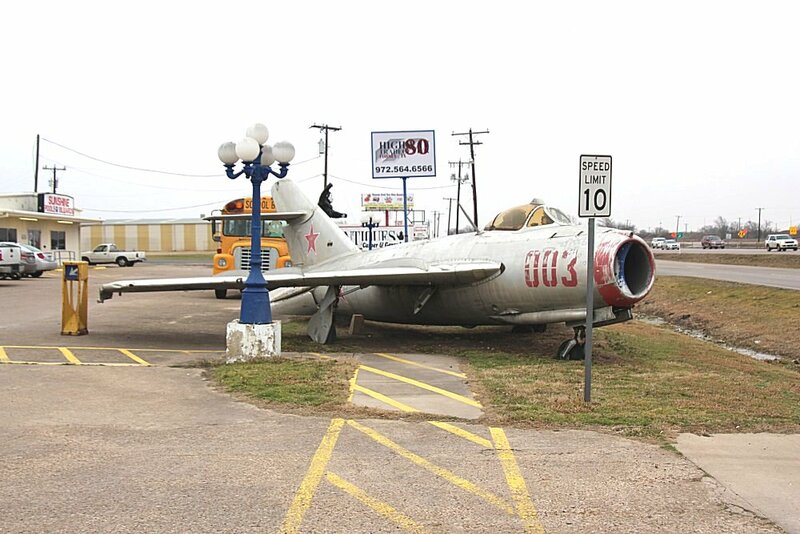 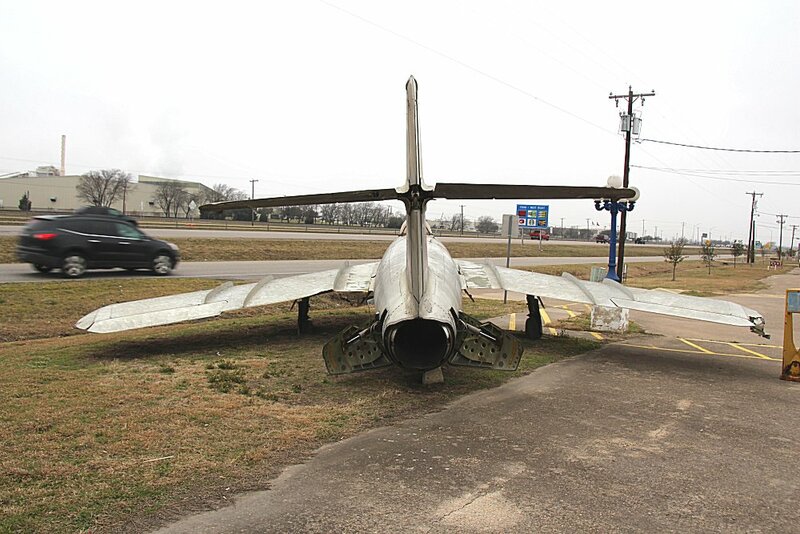 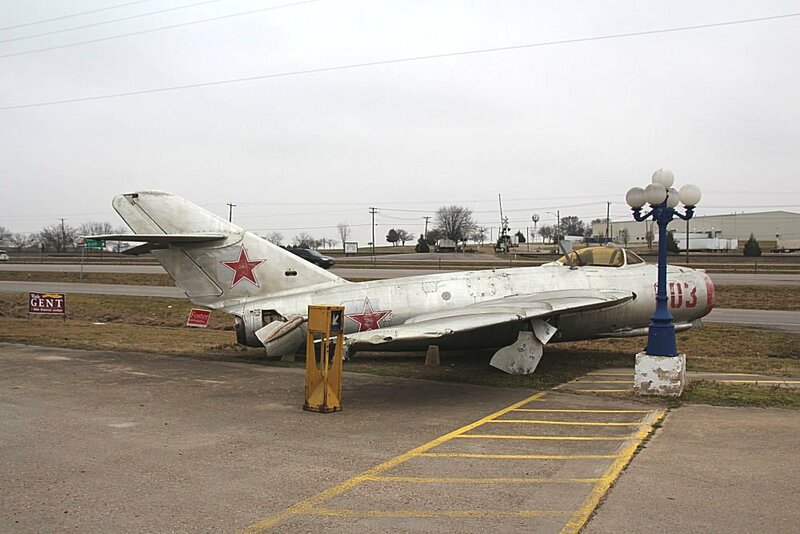 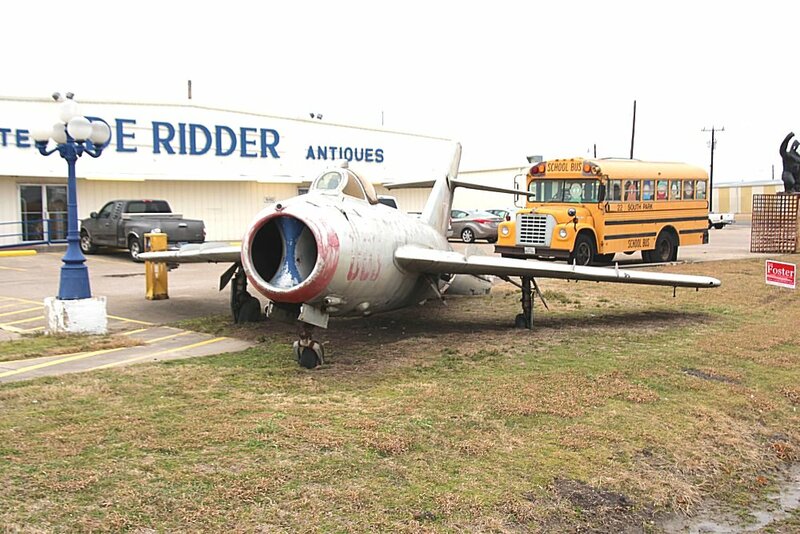 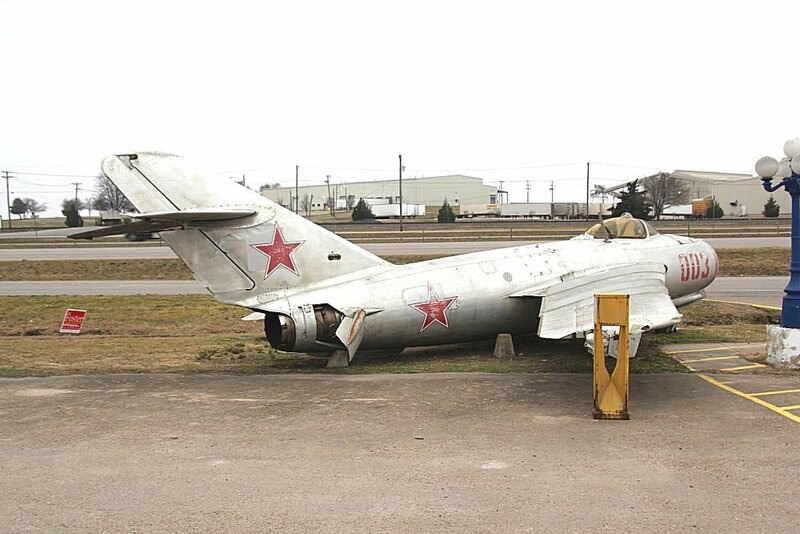 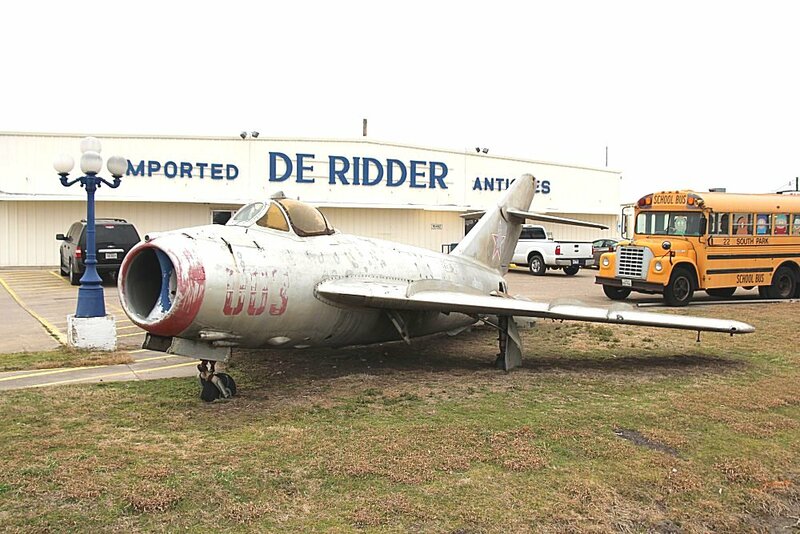 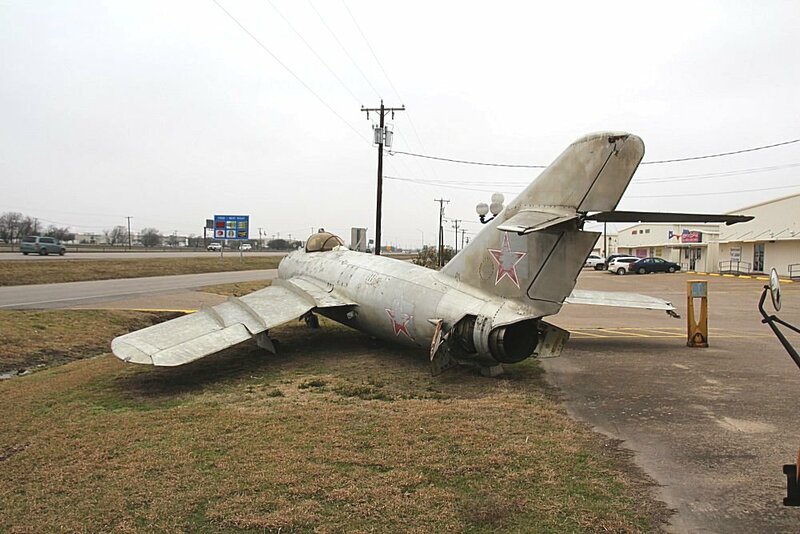 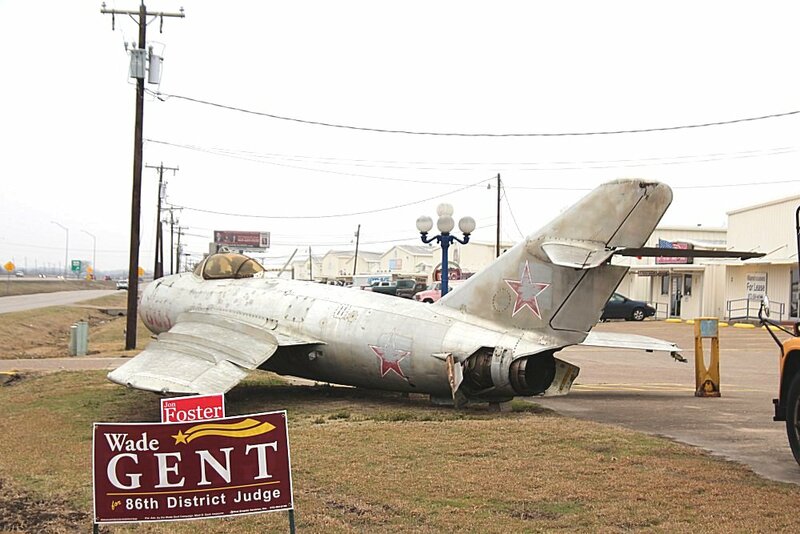 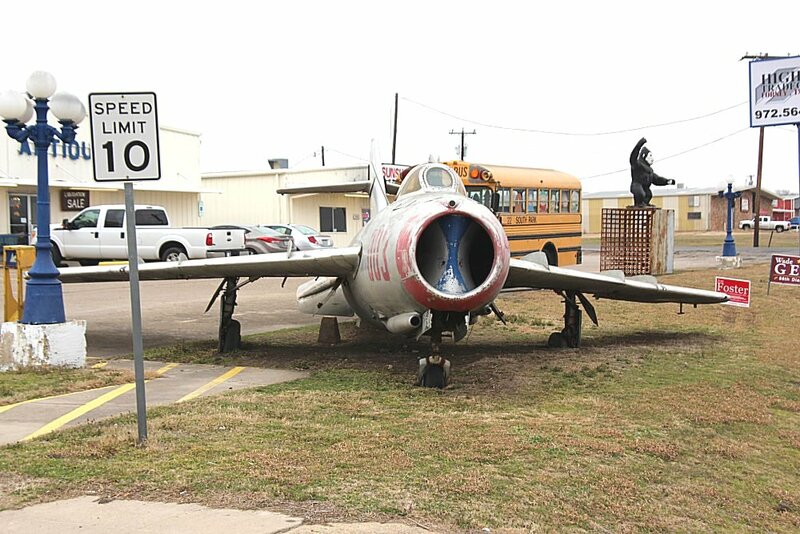 De Ridder Antiques, Forney, Texas, Russian MiG-17 "Fresco"
The Mikoyan-Gurevich MiG-17 (Fresco) is a high-subsonic fighter aircraft produced in the USSR from 1952 and operated by numerous air forces in many variants. 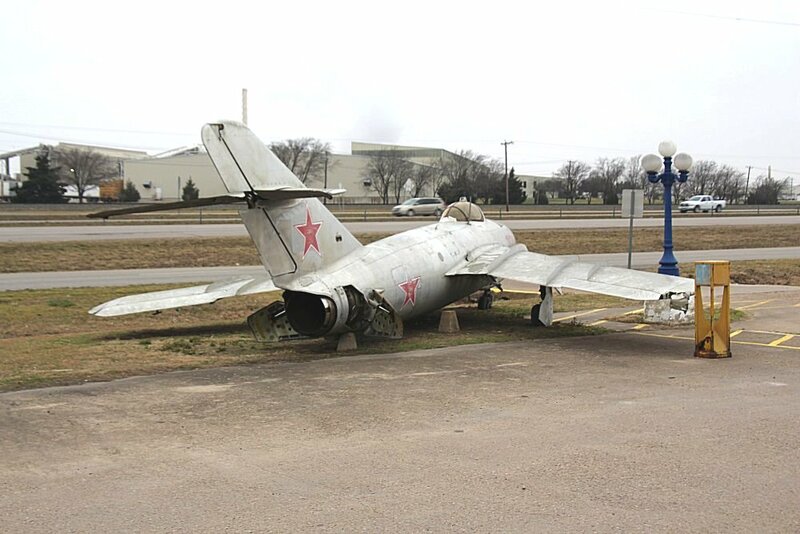 It is an advanced development of the very similar looking MiG-15 of the Korean War. 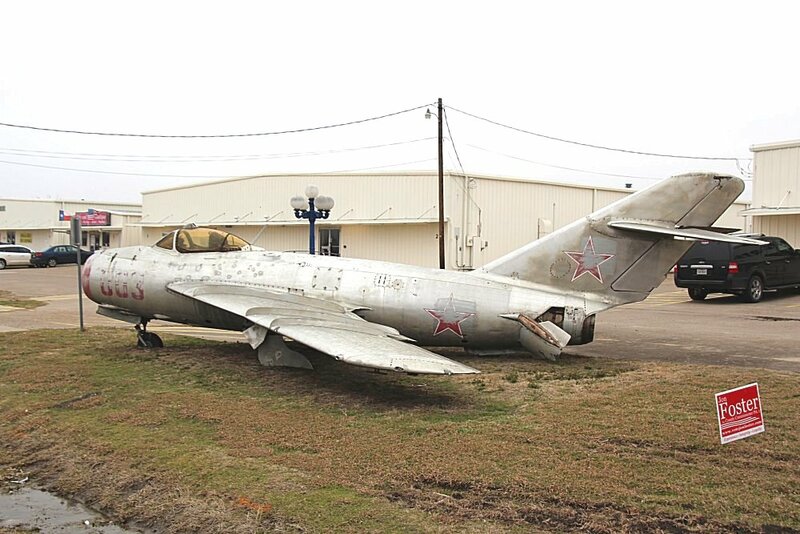 The MiG-17 was license-built in China as the Shenyang J-5 and Poland as the PZL-Mielec Lim-6. 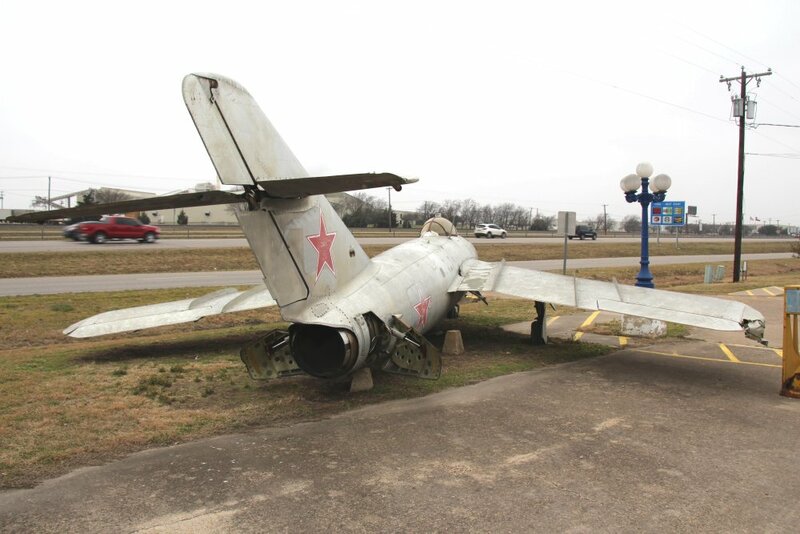 MiG-17s first saw combat in 1958 in the Second Taiwan Strait Crisis and later proved to be an effective threat against more modern supersonic fighters of the United States in the Vietnam War. 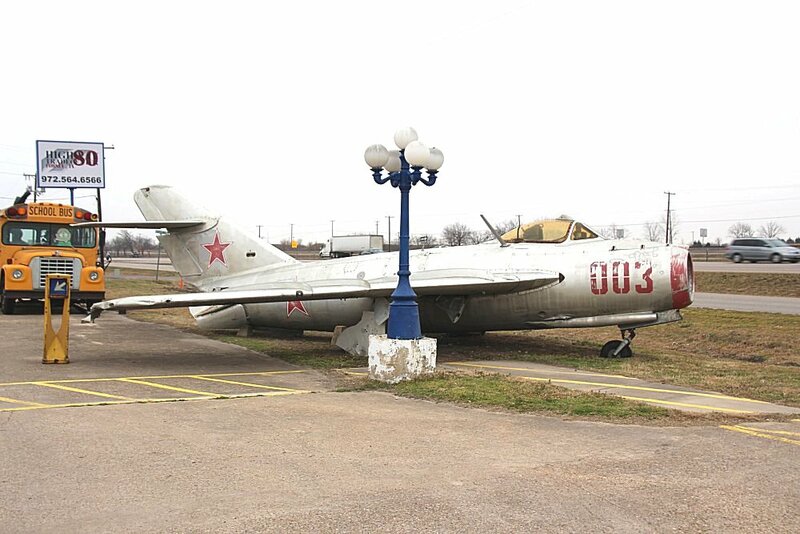 It was also briefly known as the Type 38 by U.S. Air Force designation prior to the development of NATO codes, MiG-17 "Fresco".